If you would like to register as a member of Church of the Holy Family, please complete the census form and return it to the Church of the Holy Family office. Forms are also available at the main entrance of the Church. 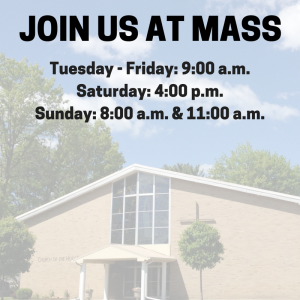 If you select the fillable form, you can save it and e-mail it to the parish office at churchoftheholyfamily@gmail.com. For a PDF version of the form, click here. For a .docx fillable form, click here. Please complete the Initial Information Sheet and bring it with you to your first meeting.